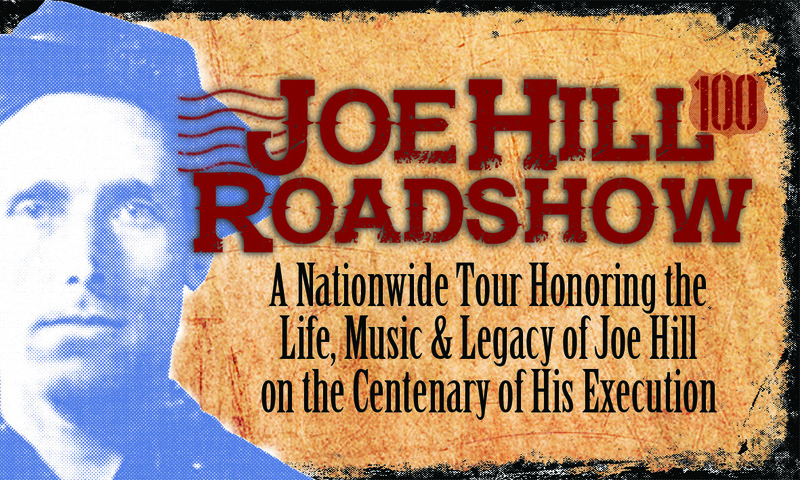 7/23 – 8/2/2015 Joe Hill Roadshow, East Coast leg begins in Washington, D.C. and ends in Cambridge, Mass. Thursday, July 23, Washington, DC: Magpie, Charlie King, DC Labor Chorus and George Mann in concert. Washington Ethical Society, 7750 16th St NW, 7:30 pm. $10-$15, no one turned away for lack of funds. Saturday, July 25, Philadelphia: Magpie, Charlie King and George Mann in concert. University Lutheran Church, 3637 Chestnut St., 7:30 p.m. Sliding Scale, $10 – $30, children $5. 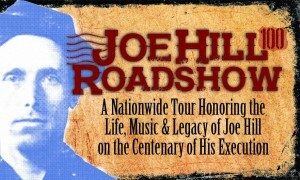 Sponsored by Crossroads Concerts; co-sponsored by Swedish-American Museum and IWW Hungarian Literature Fund. Wednesday, July 29, New York City: Magpie, Charlie King, George Mann and New York City Labor Chorus in concert. Local 1199 Union MLK Auditorium, 310 West 43rd Street, New York, 7:30 pm, $10-$15, no one turned away for lack of funds. Friday, July 31, Barre, VT: Magpie, Charlie King and George Mann (with special guests Anything Goes) in concert. Old Socialist Labor Hall, 46 Granite Street, 7:30 pm, tickets $15, seniors and students $12, no one turned away! Saturday, August 1, Springfield, MA: Magpie, Charlie King and George Mann in concert. Bing Art Center, 718 Sumner Ave., 8:00 pm. $15, students and seniors $10, none turned away for lack of funds. Sunday, August 2, Cambridge, MA: Magpie, Charlie King and George Mann (with special guest Evan Greer) wrap up the Northeast leg with a concert at this venerable, historic folk music venue. Club Passim, 47 Palmer Street, Cambridge, MA 8:00 pm. Tickets $20, $18 for members.